Potatoes can be used in many different ways. 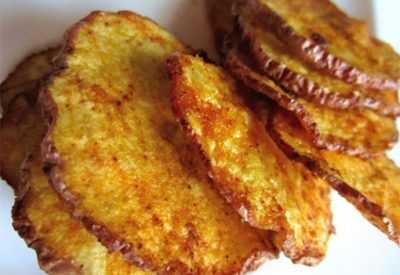 There are numerous recipes that can be made using potatoes as well. The problem is that many of the ways that you could make potatoes would be very unhealthy for you. However, there are healthy ways to make potatoes. These are the top vegetable in the United States. They don’t cost a lot so they are easy to stock up on as well. The problem is that since potatoes are carbs they generally get a bad reputation. Don’t let them become a bad thing for you. Giving up potatoes would mean giving up more Vitamin B6, Vitamin C, potassium, fiber and anti-oxidants. Too many potatoes could cause your blood sugar to rise but you can make them in ways that don’t hurt your body. As long as you aren’t losing their natural form when cooking them, you will have healthy ways to make them. One of the best and healthiest methods for making potatoes is to bake them. This is the purest way you can make potatoes. Keep them whole and without taking the skin off. You won’t lose the nutrients when baking them. You can even cut them into French fries. You can also boil potatoes as long as you are leaving on the skin. You would lower the nutrition of the potatoes a bit if you don’t leave the skin on. Mostly you would be losing some Vitamin C and Vitamin B. If you don’t cook them for as long, you will lose fewer nutrients. Additionally, the higher the heat, the more nutrients that are lost. Make sure you aren’t draining the extra water to keep more nutrients in them as well. The glycemic measurements are glycemic load and glycemic index. With these measurements, food can be measured by the effect it has on levels of blood sugar after it is eaten. Potatoes are higher in carbs so they are usually higher in these measurements. When you have too many higher glycemic measurements foods, your risk of gaining weight and having type 2 diabetes increase. Additionally, eating too many high glycemic measurement foods will promote more storage of fat as well. The great news is that the glycemic measurements of potatoes can vary based on how you cook them and what types of potato you are using. The more you process a potato the higher glycemic measurements it will have. This is why roasted potatoes are better for you than mashed potatoes. That is also why keeping the potato skin on is better than taking it off. You should also make sure you keep your portions of potatoes smaller than you would with other foods so you aren’t getting a higher number of glycemic measurements. Most people think they need to stay away from potatoes so they don’t gain weight. This fear seems legit since carbs can make you gain weight. If you are eating many carbs your blood sugar spikes and that would cause more weight gains. 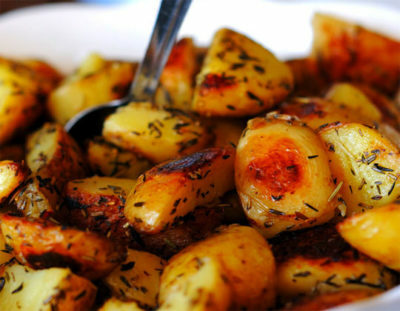 As long as you keep your intake of potatoes to a lower amount, your will not have an increase in weight gain. There are different colors of potatoes. 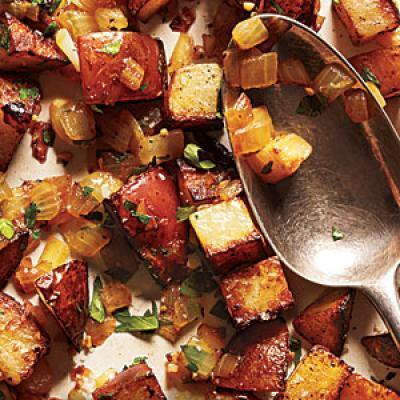 You may think of only eating white potatoes but you should mix them up with purple and orange potatoes. The sweeter potatoes have more Vitamin A and fiber than the average white colored potatoes. With purple potatoes, you also get more phytochemicals and anthocyanins too. The other way to make potatoes healthier is to watch what you are adding into the potatoes. If you are used to adding in cheese, butter and cream to your potatoes that is not going to be healthy for you. You need to focus more on the use of healthier oils for cooking them. You can use olive oil. If you want a topping for your potatoes, you can use Greek yogurt or avocado. It would add some flavor by adding dried or fresh herbs. These are all ways you can make healthier potatoes. Now you can start adding in healthy recipes so you can keep eating potatoes without having to worry about it.